Important Adwords aka Google Ads terminology to remember and be aware of is very crucial for an advertiser. Google AdWords is an advertising platform of Google in which advertisers or marketers bid on certain keywords for their targeted audiences, in order for their clickable ads to appear in Google’s search results pages. Advertisers are charged for these clicks, this is how Google makes money from search. Note: With the recent changes and upgrade now Google Adwords has been changed to Google Ads, meaning all advertisements. Active View: A feature on Google Display Network letting Adwords aware whether your display ad is actually viewable by potential customers or not. Ad Delivery: A feature, how Google serves your ads, or how Google spend your daily allocated budget. Google serves ad in two choices, Accelerated and Standard. Google serves Standard delivery by default. Ad Delivery (Accelerated): A Ad delivery system serves your ad quickly or spend your allocated budget in accelerated mode. Ad Delivery (Standard): A Ad delivery system serves your ad throughout the whole day to balance your allocated budget. Ad Extensions: An AdWords feature that showcases an additional details in your ads like your business location, phone number, business ratings, and links to your webpage. Ad Group: An ad group is a set of one more ads with set of targeted keywords for google search, with set of placements for Google Display. Ad Group Default Bids: A specific bid applicable to all keywords and its placements within an Ad Group that doesn’t have individual bids at a keyword. Ad Position: An order in which your ad appears in Google search results. 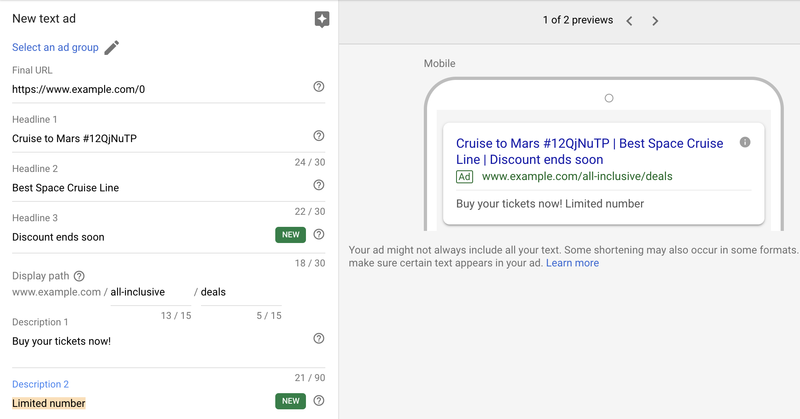 Ad Preview and Diagnosis Tool: A feature in Google Adwords that lets you test your ads, artificially showing you how your ads look like without launching it. Ad Relevance: Ad relevance is a quality score check. 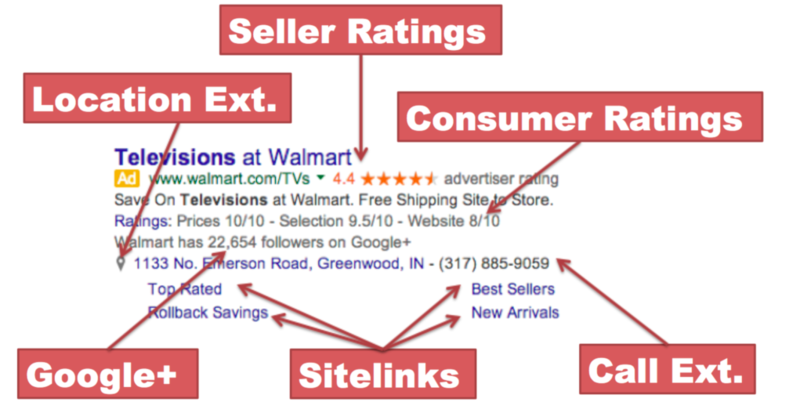 An indicator letting Google aware how well and closely the keywords are related to your ads and landing page. Rotate Indefinitely: Google will keep switching ads, which enter auctions for an indefinite interval, but it will not optimize or prioritize which ones are entered over others. Ad Scheduling: A feature allowing your ads to schedule the time of day and day of the week. Ad Status: A description informing you regarding the ad relevancy whether its legible or not and adhering to the Google policies. AdSense: A tool Google developed for the publishers of all indifferent sizes and shapes enabling the host ads on their sites to earn money from ads. Advertising Policies: Policies determining the do’s and don’ts to follow with the limitations. Ads violating the policies will be marked as “Disapproved” or “Suspended”, means not labile to run the ads. Ad Variations: The different ad variation combinations of text and images created as a part of the ad. Different variations are good method to check which one o it performs well and creates engagement with the audience. AdWords Editor: A Google tool enabling advertisers to make bulk changes to their account (bids, keywords, ads, and other settings changes). AdWords Promotional Coupon Code: A reward or “credit” that’s applied to your AdWords account after completing some sort of necessary action. Promo codes are usually given out by Google and their partners to help get new advertisers to spend on AdWords. All Conversions: The total number of conversions AdWords drives for your business. Alternate Email Address: The alternate email address that is added to AdWords, enabling the users to sign into AdWords in case one forgets the primary log-in information. 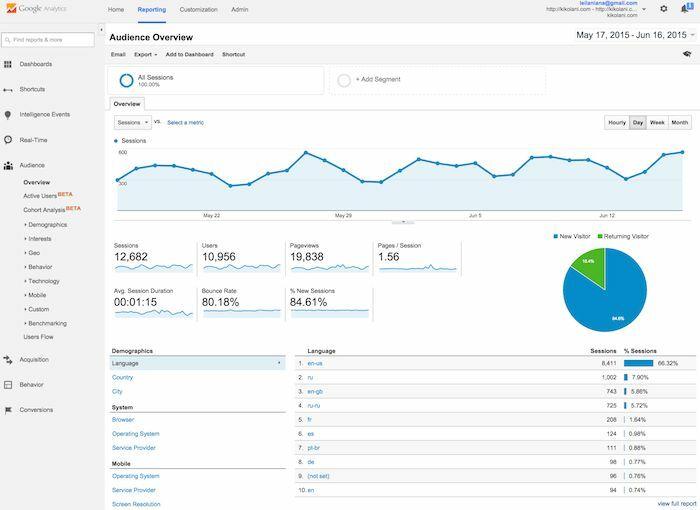 Analytics: A tool created by Google to help you better understand the types of customers that visit your site, duration of time spent in your site, their location, and other important metrics that AdWords can’t provide in as much detail. Auto-tagging: A feature that helps Adwords connect to Google Analytics through dynamically generated URL parameter. Rendering or transferring all the data to Adwords. Automated Rules: A feature that lets Adwords automatically manage or adjust the bids, budgets and status. Automatic Bidding: A feature that lets Adwords automatically manage or adjust your maximum bids across keywords. Automatic Payments: The AdWords billing feature that allows Google to automatically bill you after accruing costs in your AdWords account. Automatic Placements: The placements of the ads on website that Google will serve the ads based on the targeting set in display campaign. Average Cost-Per-Click (Avg. CPC): The average amount that google charges you are after a potential customer clicks on your ad. Average CPC is calculated by dividing the total cost of your clicks by the total number of clicks. For example, if you saw 1,000 clicks and it cost you $50, the Avg. CPC would be $0.05. Below First Page Bid: The nature of keyword competitiveness, when Goggle apply your selected keywords bids not high enough to get your ad on the first page. Below the Fold: Content, ads, etc. that are seen after one begins to scrolling down the page. In the digital context, this is also known as “below the scroll”. Bid Adjustment: A specified percentage increase or decrease on bids across keywords, location, devices, schedules, more. Billing Threshold: The sum of amount or time that, when crossed, triggers Google to charge for the accrued costs. Applicable to automatic payments only. Bounce Rate: The rate of visitors to the site leaving without much engagement or visiting more than one page of the site. Broad Match: The keyword setting in which that allows the ads to be triggered when a similar variation, synonym, or phrase is searched. It will give the largest reach (impressions) compared to all other match typed but will be far less targeted. Broad Match Modifier: The keyword setting allowing reach (impressions) similar to that of broad match keywords, but also provides more control over whom we’re serving our ads to. They tell Google certain words in keywords phrase that needs to be present in the search term of the customers. Broad match keywords are indicated by a ‘ ‘ sign. Budget Order: A Google payment feature that allows us how much money we want to spend over a specific duration of time. This feature is only available to those advertisers that have set up monthly invoicing. Bulk Edit: The feature that permits you to make edits to campaigns across your account all at once. Cache: Data that is stored temporarily on computer or other devices by your internet browser as one visit different sites. Call Extensions: An AdWords feature that allows you to include your phone number in the ad text to increase phone calls to your business. Callout Extensions: It’s an Additional text that appears with the ad adding some value to the customer. Examples of Callouts include: 24/7 Support, Free Shipping, and Cancel Anytime. *Callouts are not clickable. Call Only Campaigns: A campaign feature or extension that allows the customer make call directly to the business. Its click is not accounted in to website traffic. Call to Action: It’s a word or phrase that promotes an immediate response from your customers. “Call Now!”, “Shop Today”, and “Subscribe” example of calls to action. Call Tracking: A feature that enables to track how many calls the business received as a result of AdWords campaigns. One needs to enable a Google Forwarding Phone Number in order to maintain Google Call Tracking. Campaign: A structure within AdWords that holds keywords and ad groups. All ad groups within a Campaign shares a budget and similar settings around targeting. One can have one or many campaigns as part of AdWords account. Campaign Status: An indicator that indicates whether your ads can run or are running at that moment. Examples of Campaign Status includes: Eligible, Paused, Removed, and Ended. Change History: A report that allows the users to look back at all the changes one made to the accounts and campaigns. All changes are timestamped and include the person that was signed in to make the changes, providing all the details in it. Click: The act of clicking the link in ad. A click most often leads to a website visit. Click Through Rate (CTR): It is the percent of people that clicks on ad after viewing it. The formula to determine CTR is the total number of clicks divided by the total number of impressions. Consolidated Billing: A feature that allows the user to receive one consolidated bill for the costs incurred across multiple AdWords accounts. Contextual Targeting: The method in which Google uses to target a specific website on Google’s Display Network by leveraging the keywords and topics. If one of the keywords is “red hat”, Google will find all the websites that include that keyword and serve the ads on those sites. Conversion: A desired action that is taken by the customer as a result of marketing/advertising. Conversions are defined by the advertiser, but generally include sales on the website, sign-ups on a lead gen form, or phone call to businesses. Conversion Optimizer (No Longer Available): An Adword feature that predicts which type of clicks will be more valuable to the business, and then automatically adjusting the bids to attract the clicks that most probably enables to drive conversions. Conversion Rate: It is the average number of conversions one sees per click on the ad. Conversion Tracking: The method of tracking the important actions that customers make (sales, sign-ups, etc.) that come as a result of Google AdWords ads. Conversion Window: It is the number of days after a click that a conversion can still be recorded. You can set the conversion window to be more or less than the default (30 days). Cookie: A file that is save on your device by the websites you visit. Generally used to recognize the preferences. Cost per Click (CPC): It is the price you pay to Google each time someone clicks on your ad. Cost-per-thousand Impressions (CPM): The price one pays to Google every time when Display ad sees 1,000 impressions. Cost-per-view (CPV): It is the price one pays to Google every time someone views one of your video ads. Customer ID: The unique number that’s assigned to Google Adwords account holder. 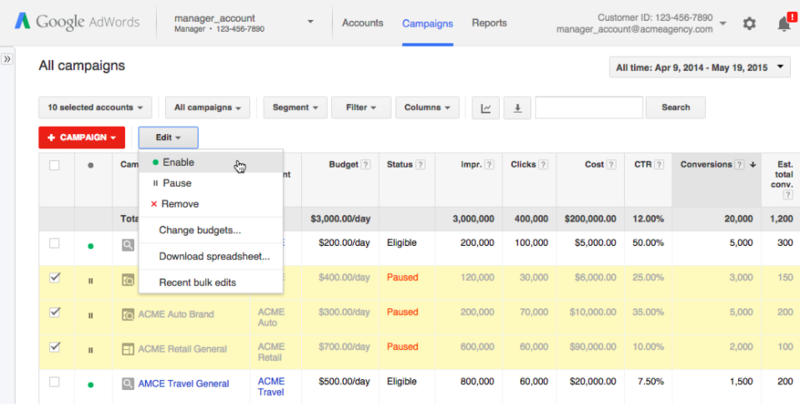 It’s a 3-part number that can be found on the top right corner of the AdWords dashboard. Daily Budget: The maximum amount of sum one tells to Google wanting to spend across the campaigns per day. An important note that Google can spend up to 20% over the daily budget on some days, so long as the average number of dollars spent over 30 days does not exceed the daily budget. Dayparting: A setting within the AdWords that allows to select the time of day and day of the week to serve the ads. This is a great option for businesses wishing to serve ads during their hours of operation. Dayparting is also known as “Ad Scheduling”. Deep Link: A specific type of URL that takes the customers to a specific page in the app. Description Lines: It is the two lines of text existing between the headline and display URL of the text ad. Each line allows for 35 characters. Disapproved: The status of ad receives, that violates one of Google’s policies. Display Network: It is one of the internet’s largest content networks. It contains more than a million websites and apps serves the ads of the advertiser. Display Partners: The websites that partners with Google to serve Display ads. Display Planner: A tool that helps to determine which display placements would be the best fit for the business goals. Suggested: Digital Marketing -SEO Learning for beginners. Eligible: The status that ad receives before it’s officially reviewed by Google. Eligible ads can still be served and will be seen on Google’s search results page. End Date: A feature in adwords that allows the advertisers to select the length of time wanting its campaigns to run. After that date, the ads will stop running. Enhanced CPC (ECPC): It’s a bidding feature allowing the Google to automatically enhance the bid up to 30% when it perceives a click will lead to a conversion. Extended Headline: The trick that allows one to create a larger headline by including a period after the last word in the first description line. Expected CTR: Expected click-through rate is a measurement of how often or likely the ad will be clicked on a using a particular keyword. It’s one of the major factors in determining the quality score. Filter: A basic feature in Adwords that enables the user to restrict or choose the type of data wanting to see in your tables and charts. First Page Bid Estimate: It’s a Google’s estimated bid one needs to set in order for your ads to appear on the first page of the search results. These are positions #1-10. Flexible Bid Strategy: It’s one of the main bid strategies that automates the budget allocation across multiple campaigns, ad groups and keywords. Google allocates the budget to maximize performance. Frequency Capping: A feature that adwords lets you control the number of times the ad appears to the same person on the Display Network. Global Site Tag: Its add visitors to basic remarketing lists and sets the new cookies on your domain, which stores information regarding the ad click that brought the user to the website. One must install this tag on every page of your website. Headline: The first line of image, text, and search ads. This is the first thing that people sees, it not only draws people attention in but also gives people an idea of what you are promoting/offering. Note: With the updated Expanded Text Ads, it has now two headlines in text ad (H1 and H2), with up to 30 characters in each. Keywords: It’s a words or phrases describing the product or service that you choose to trigger the ads. The keywords determines when the ads to show. 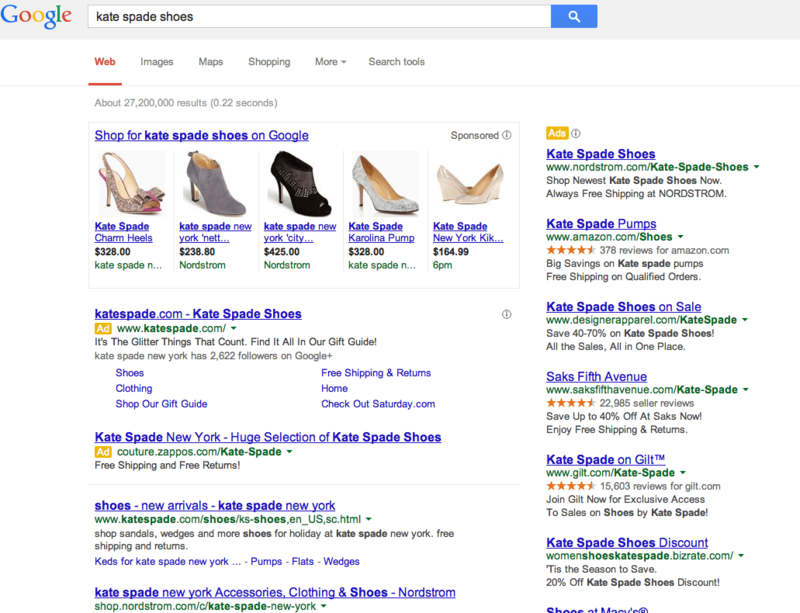 When your keyword matches what people search on Google, your ad will appear. Keyword Mining: the collection of keywords for the business and ads. Keyword Planner: an essential tool that lets you test the search volume, bid estimate, and competition for certain keywords. Landing Page: It’s a web page the audience lands or ends up on when they click the ad. Language Targeting: It’s one of the core targeting options for Search and Display campaigns. For display campaigns, choose the language of the sites that you’d like your ads to appear on. Life Event Targeting: A targeting option that allows to target the ads based on major life events such as weddings, new children, moving, etc. Location Extensions: an addition to ad that shows business address. This is essential for businesses trying to drive in-store traffic. Location Targeting: Targeting based on specific locations, cou.tries. Also excluding the region where we don’t want it. Location Options: A setting option for Display Campaigns that gives you further control over location targeting. Your campaign will default to target “People in, or who show interest in [your] targeting location”. Low Search Volume: A status for certain keywords alerting that the keyword or keywords you selected are not searched very often. Managed Placements: A type of targeting that allows to choose specific websites, videos, and apps on the Google Display Network to show your ads on. Manual Bidding: Select the maximum cost-per-click bid amount for your ad group’s default bid. Maximize Conversions: An automated smart bidding strategy where Google optimizes for higher volume of conversions, rather than the amount of money your conversions are generating. Mobile Ad: an advertisement that displays only on cellphones or tablets. AdWords campaigns default to show on mobile and desktop. Mobile Only: Ads that show only on mobile. Monthly Invoicing: A billion/payment option that allows to open a line of credit with Google and pay for your ads on a monthly basis. Negative Keywords: A type of keyword Match Type that prevents your ad from showing for certain search terms. Negative Keyword List: A list you can create in your AdWords Shared Library that houses all your negative keywords. Not Serving (video ads): A video ad status when a headline, description, or video has been disapproved. Not Yet Serving: (video ads): The status of any video ad that is pending for the review. Opening Images: The frame or still image that is seen before someone clicks play on your video. This applies to click-to-play ads and is similar to a YouTube video cover image. Organic Search Results: The natural or free results from certain search terms on the Google Search results page. Over Delivery: When a day’s ad spend exceeds your average daily budget. Pending: The status of a campaign when it is still going through the approval process from Google. Phrase Match: One of 4 or more keyword Match Type. Phrase match keywords triggers the ad when a certain phrase is searched in its entirety. Placements: It is the different locations on the Display Network where your ads show. Play Rate: A key metric for Video Ads that tell you how often your video was played by dividing the # of plays by the # of times your ad was shown. Similar to CTR, Play Rate measures engagement. Price Extensions: These feature bring specific offerings to the surface of the SERP and provide links that take the user directly to product. Promotion Extension: Ad Extension that allows you to showcase sales and promotions on products sell that people are searching for. Quality Score: The 1-10 score Google gives each one of keywords to represent how relevant the keyword, ad, and landing page are for those customers looking at your ad. Referral URL: The URL of the website where your display ad was clicked. Relevance: A component for Quality Score check that judges how well the ad’s elements matches what the searcher is looking for. Generally, a high relevancy score (and thus higher quality score) requires a clear connection between the search terms (keywords), ad, and landing page. Remarketing: Is a feature that allows to reach people who have previously been on your site. Search Engine Results Page (SERP): In general, the results page for a Google Search. 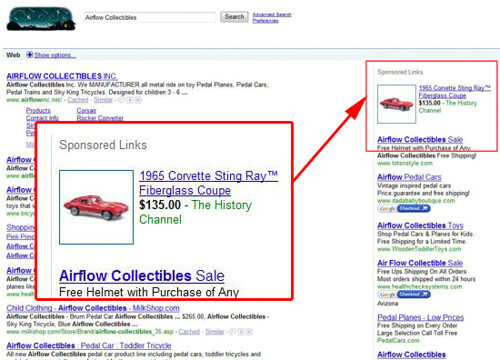 Search Partners: Those sites within the Search Network that has partnered with Google to show ads. Search Term (Search Query): The words or phrases that a person types into a search engine such as Google.com. Search Terms Report: It’s the AdWords report that shows what Search Terms have triggered the ads. Serving (video ads): A status for your video ad stating that it is approved and ready to go. Shared Budget: It’s a budgeting option that allows to set a single budget for all campaigns. Google will then allocate your budget to each of your active campaigns to “maximize your return-on-investment”. Shopping Channel and Exclusivity: A way of grouping the products for Shopping campaign that allows to divide products in an ad group based on where they are sold (online or in-store). Sitelink Extension: It’s a manual ad extension that takes people who click on them to a specific page of your website. Site Suspended: An ad or keyword status given when the destination URL (Landing Page) is suspended for violating any of Google’s advertising policies. Target CPA (Cost-per-acquisition) Bidding: Generally known as the Conversion Optimizer, Target CPA is a bidding startegy that sets a maximum on how much one would pay for a conversion. Target ROAS (Return on ad spend): It is a type of smart bidding strategy that works by using conversion tracking data to predict future conversions and associating them with a dollar value. Target Search Page Location: It’s a bidding strategy where Google automatically adjusts the bids to push the ad either to the top of the SERP or onto the first page. Top of Page Bid Estimate: The bid you will need to set for your ad to appear on top of the search results page. Google will consider keyword quality, ad quality, website quality, and existing competition and then estimate the bid you will need to reach the top. Under Review: All ads must be reviewed by Google. While this process occurs, the ad status will show “under review”. URL Parameter: Tags on a URL that pass certain information. This can direct users to a certain page, tell you something about their browsing actions in analytics, and much more. X Y Z……… time for a break. Suggested: Keep aside your worries via. easy email finder tools. Thank you for the offer. However, there’s time constraint but would welcome you to choose any one of the articles you like and republish it on your blog. Very good blog! Do you have any tips for aspiring writers? I’m hoping to start my own site soon but I’m a little lost on everything. Would you recommend starting with a free platform like WordPress or go for a paid option? There are so many choices out there that I’m completely overwhelmed .. Any ideas? Thanks! Go for a paid form. It’s easier at the beginning itself to set up everything rather than doing it later. Yes, sure we can do that. Am using word press, and go daddy host. After reading your post, you have a great website with interesting content. it’s very nice tool to bring you a lot of new readers on a daily basis. Keep up the quality work! I’m excited to find this site. I wanted to thank you for ones time due to this fantastic read!! Install ssl certificate, hope that would help you. Also, contact your service provider for the same.